How to create an attractive Restaurant Catering in Word? An easy way to start completing your proposal is to download this example Restaurant Catering Proposal template now! We provide this Restaurant Catering Event Proposal template to help you to make an offer to your customers that need event catering. This ready-made proposal template can help you to save time and to focus on the topics that really matter! 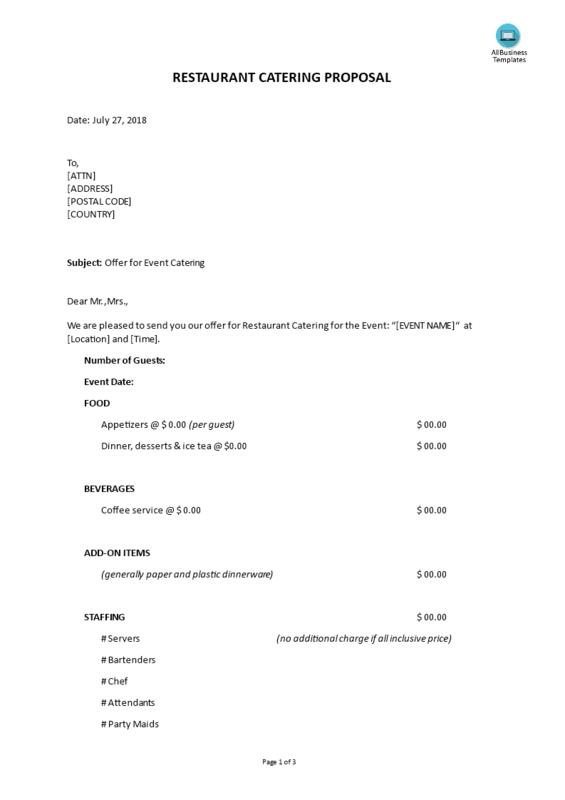 Using this Restaurant Catering Proposal template guarantees you will save time, cost and efforts! Completing an offer for your customers has never been easier! Download this Restaurant Catering Proposal for Event Catering now for your own benefit!